Every man at least once in his life dreamed in the soul or in the childhood to make his journey around the world, to see distant lands, peoples, to know their culture a little closer! But to fulfil any dream you need a solid team and we believe that the best team is your own family! Why we decided to make a circumnavigation? First, it is the realization of my and husband’s dream. We have dreamt of long sea voyages, and therefore we are very happy that our dream starts to come true. Secondly, it has an educational purpose; our journey will broaden the horizons of the world perception of our children, will help them in finding themselves in this world and in this life, and will make them the people of the world — cosmopolitans. And of course, it we will enrich us with new knowledge, languages, crafts and ideas. Thirdly, it is a way to fulfill small personal desires, which will become a reality during the circumnavigation, such as: to stand on the surf board on the shores of Australia, to see coral reefs, to visit the uninhabited island, to perform a wedding ceremony on elephants in India, to watch and take part in the famous Brazilian carnival, to hold in the hands plush koala and a lot more about what we are dreaming, but don’t have the opportunity to fulfill the dream in real life! We can fulfill our dreams during the circumnavigation! Fourth, this is the magic pendel that will help us in work remotely and to earn living and travel, not tying yourself to a specific area. We think about it for many years, but just can’t to create a profitable business without personal presence. Who are we? Let’s get acquainted! We are the creators of the club and just close family, for which the travelling is lifestyle, main hobby and that unites us! Timirkhan is our Captain and a dad; he’s the mastermind and the main traveler. In ordinary life he is an ice sculptor, a designer, a constructor of hire buggy, a biker and a video operator. This is the man who inspires us in our exploits! Elena is a Navigation Officer and just a mother of two children. She is also a part-time translator, a communicator with the outside world and the an author and editor of our Travel Diary. Daughter Aigul (6 years) is a senior Jung and the main assistant for the economy, a creative and a willful nature. She travels in Russia and far abroad from 3 months. Aigul is the main camera operator in our journey! Son Damir (2.5 years) is a junior Jung and a Captain’s assistant on the yacht. 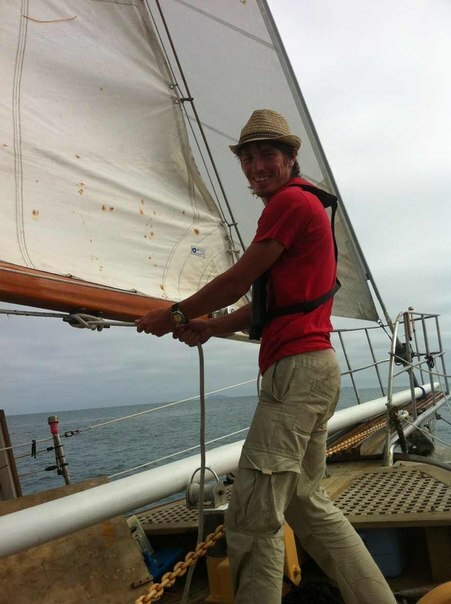 The youngest sailor in the family, he travels from 5 months. 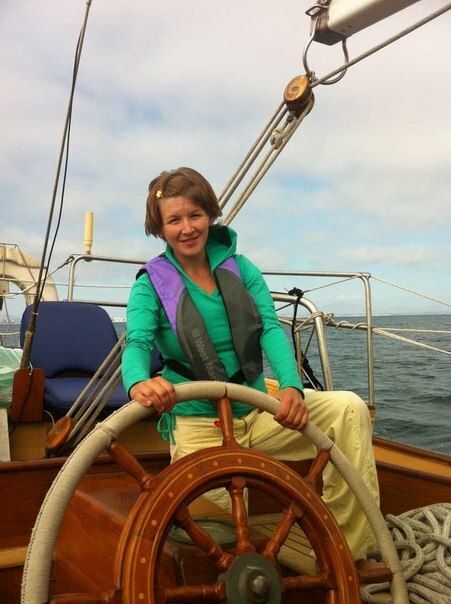 Our journey under sail will take place on the board of classic sailing ketch schooner Lady Arisha (71 feet); it is a comfortable dwelling for real sea travelers. There are 3 comfortable cabins and 2 toilets, kitchen, mess-campaign and dining group on the deck. The yacht was released in 1971; it has its own interesting story. 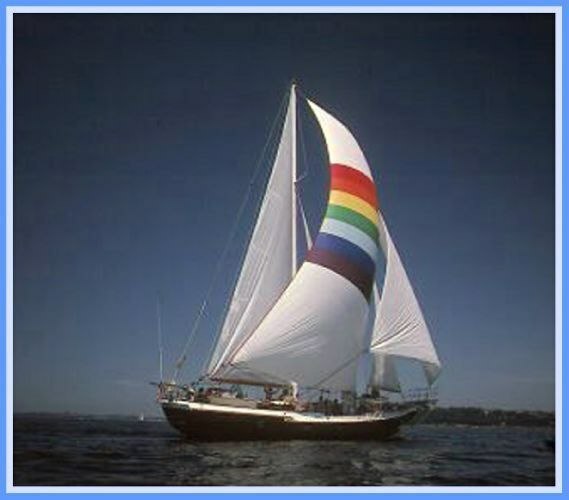 The yacht itself is ferroconcrete, has a classic sailing rig, very stable, validated on long hikes, the storms, the winner of numerous regattas in its class, and even a participant of the movie. The wood interior was designed by a French designer. It is equipped with the necessary inventory for travel with children. More information can be acquainted having a tour of the yacht! We’ve created a round-the-world route which will take place in the Southern hemispheres, with a length of more than 40,000 miles and will go around the globe. We broke the entire route on the steps that we plan to go on a sailing yacht Lady Arisha for 3-4 years. Our journey is not sporting or non-stop, maybe it will be accompanied by short breaks and long stays in places that we like the most. At the initial stage it looks like this, but we believe that life and the journey itself will make its own adjustments, because this route is only the direction of our path. The starting point and the beginning of the path is San Diego, USA, as at the moment the yacht is standing there in winter, we are planning to finish our circumnavigation there. 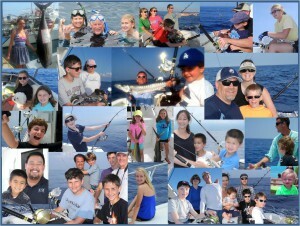 Why we created the Club Family Sail? We created this Club to help other families to make their journey around the World with us or independently! We want to show by our example that travelling with children on the yacht is not only possible, but also very exciting and fun for the whole family! We believe that we will assemble a team of like-minded people who not only support us but also want to join us; and will make their journey like our family! Our personal travel experience is more than 10 years in Russia by car, neighboring countries and North America. And we want to share it with those who need it, those who have questions, to allay fears before going on long journeys, to give advice, to assist in the preparation, to consult. Do you want to see all the wonders of the world and to feel the joy of new experiences? If the members of your family are the sailors in the soul, if you like a distant journey and not afraid of the sea difficulties, if you see adventures in new lands with optimism and get along with people even speaking different languages — then you are with us along the way! Welcome to our Club of family world tour «Family Sail»! The opportunity to attend free all the events, parties, presentations and travel-meetings of the Club, if a participant has the club card. And to participate in private parties and events for club members. The opportunity to become a part of a big family trip around the world and to be a part of the planned cruise with us on the yacht! 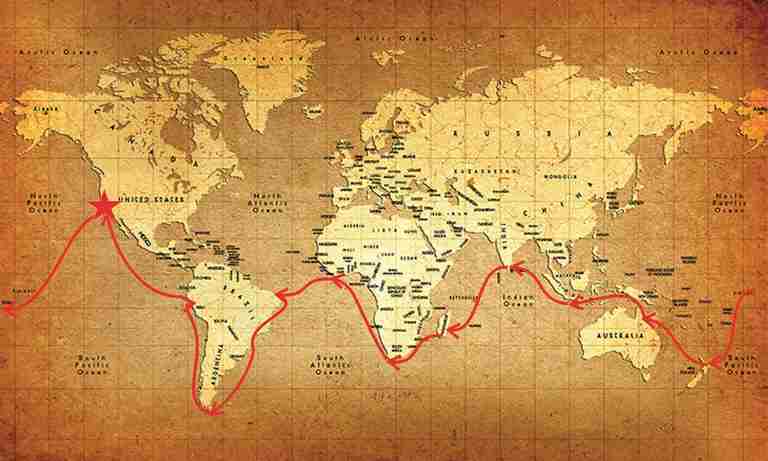 The planned route is on the site — you just have to choose the part of those countries that you want to visit as part of your route. Each next vacation becomes the next stage of your family voyage, and you will receive a certificate. It is not obligatory to undergo segments sequentially – the world map is assembled in any order! You can collect it as a puzzle of your vacation! Each Club member receives access to our travel experiences in different countries and in different vehicles, as well as personal advice on issues arising in the journey in different countries: food, housing, airfare, hotels, attractions and features of tourism. Tips from experienced how to make the journey enjoyable for the whole family! Each member will be able to gain invaluable practical experience of navigation not in theory but in the open ocean (school sailing yacht management). You will learn to manage the sails, to plot a route by sailing instructions, will be familiar with navigational equipment, and survive the real night watch. This school is for real sailors. Those who passed the course in this school will be issued a certificate of practical hours walking on the yacht. It may become the start for your own voyages. Join our friendly community of family travelers! You are expecting new amazing countries and vivid impressions. There is so much fun in the world! 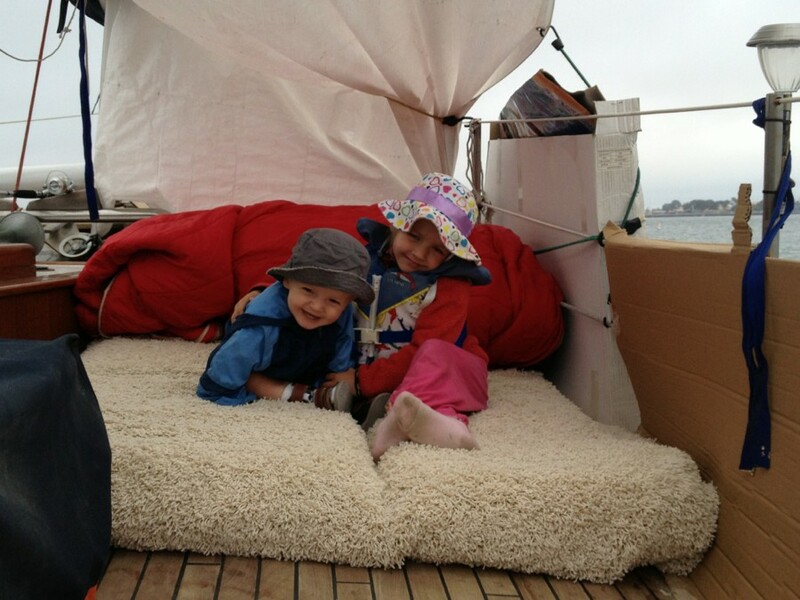 It is not only possible to travel with children, even small but also very interesting and easy!